It’s Big, It’s Mesmerizing & It’s Waterproof! 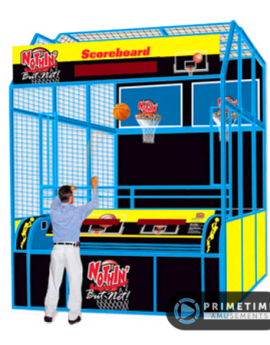 Need more flash and spectacle with your arcade basketball offering? 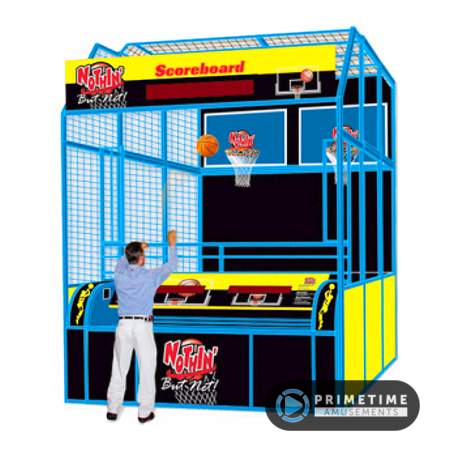 Then check out The Big Show Basketball by Wik. Install one or more of these, and you’ll see word-of-mouth spread news about your location in record time! 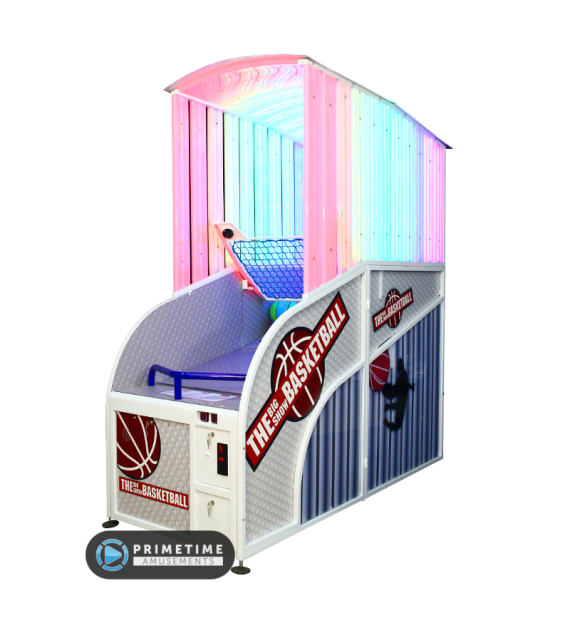 The Big Show Basketball game takes the tried-and-true setting of arcade basketball and elevates the experience with an interactive tunnel of light. Thanks to a network of RGB LED’s and sensors, the enclosure around the hoop and shooting area becomes a video display in it’s own right, showing off animations on both the inside and the outside of the game. Thanks to multiple styles of animation, players will experience something different between plays, meaning they’ll want to come back for more. Don’t just read about it, watch it, as seen at IAAPA 2018. Video available in 4K UHD; subscribe to us on YouTube to stay up-to-date with the latest product videos! 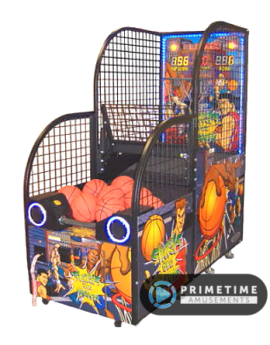 For the game itself, it plays like a standard basketball game should – there are three levels of difficulty, with the challenge increasing as you progress. 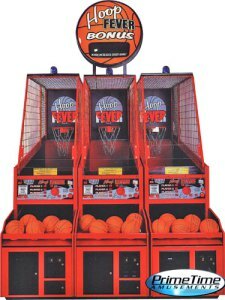 Pass each round by reaching a certain level of points; the hoop begins moving once you reach round 2, and it gets harder from there. Link multiple units together for players to challenge each other. – Suitable for use outdoors! 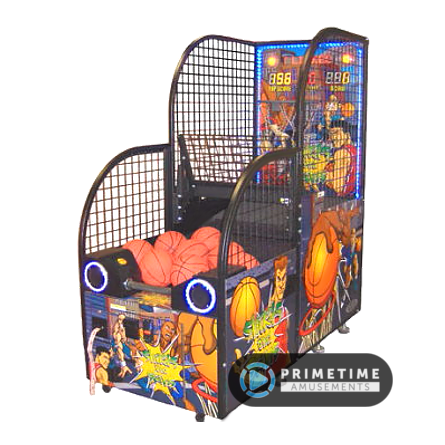 One of the very few waterproof game machines on the market! Installed Dimensions: H: 87″, W: 43″, D: 82″ Weight: 585lbs. 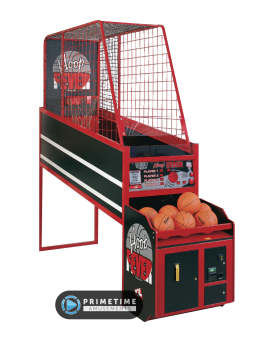 Installed Dimensions: H: 104″, W: 30″, D: 120″ Weight: 645 lbs. Installed Dimensions: H 14′ x W 10′ x D 15′ Weight: 2000lbs.